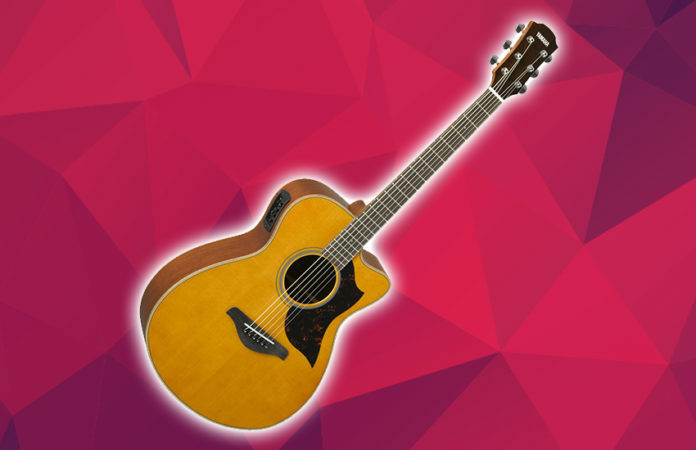 The Yamaha AC1M is a smaller cutaway acoustic guitar with a grand concert body shape. It is designed for players who want an easy to play and great sounding instrument (both acoustically and plugged in) that also respects a budget-conscious wallet. To tell you right now, the AC1M is a big and wonderful surprise. The Yamaha AC1M has a top that is made from a solid Sitka spruce and back and sides that are made of mahogany. It also has a rosewood fretboard, a set of sealed chrome tuners, and an onboard preamp called the System 66. The rosewood fretboard has a set of 20 frets and an ebony bridge. 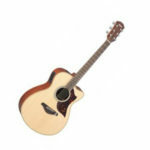 Looking at the design, you will notice that it looks pretty much like any other Yamaha acoustic guitar. While it has a generic appearance, you will appreciate how light and convenient it is to hold, especially for long periods of time. Thanks to the scaled grand concert figure, the cutaway, and the upper fret which is quite good for an acoustic. Add to that the neck that is coated in a satin finish which largely helps in the outstanding playability of the strings. Let us talk about the guitar straight out of the box because it is worthy to mention how polished and ready it is for just about anything. As soon you lay your hands on the guitar for the first time, you can already enjoy it on its own setup, without having to do complicated personal tweaks. Right off the bat, you will get a decent sound that is genuinely resonant and clear. The tone is great from the low to high registers. We also have to give merit to the harmonic content which is really, really outstanding. If you have been in the acoustic guitar game for quite a while now, or you have tried your hands on high-end custom guitars, you would know that the Yamaha AC1M can go up against those beasts. Even if we take a blindfold test and play this guitar, you would probably tell that it sounds like it is worth more than a thousand bucks. But it is not. This is what caught us by surprise. The chords sound very articulate and well-defined. The lead passages are so clear regardless of the speed at which the notes are being played. And to mention again, the resonance and harmonic content are just excellent. When plugged in, this guitar delivers a transparent clean tone that is fairly warm and woody. The Verdict: Should You Buy Yamaha AC1M? Yamaha is widely known for its top-notch musical instruments. That is given, but seeing an inexpensive instrument is a pleasant surprise. The Yamaha AC1M is an incredible value for every dollar spent on it. Overall, the Yamaha AC1M is an impressive acoustic guitar in this price range. For under a thousand dollars, you get a robust set of features, the classic look of a traditional acoustic guitar, and a truly amazing tone and projection that even pro players will love. Best of all? It comes with an affordable price tag.